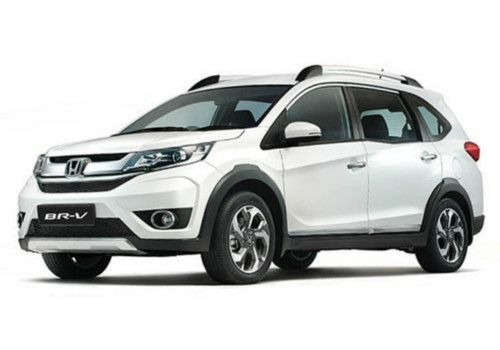 The used Honda BR-V bags the black-and-grey interior across all variants. The top-end VX variant gets leather seats, armrests on the doors and steering-wheel cover too. The steering wheel is designed to own a multimedia control button, a ‘3D’ instrument cluster, rectangular A/C vents, silver highlights, integrated multimedia console and climate control system. The seats are comfortable enough for short drives, but can be painful for long inter-city journeys. The BR-V also gets roof-mounted A/C vents to keep the second and third-row seats cooler. The SUV comes as a 7 seater with front and rear styling along with spacious interiors but with ordinary light build quality. It also has excellent legroom and headroom in the 1st and 2nd rows. The used Honda car has 210mm ground clearance. The car has light controls, sorted ergonomics & easy manoeuvrability for the city. The car also has airbags across all the ranges. Equipment in the car includes projector headlamps with LED pilot lamps, leather upholstery, keyless entry & go, roof-mounted rear air-conditioner, paddle shifters and many more. The i-DTEC diesel can get noisy though and is not much high-rpm friendly. BR-V is longer than most of the SUVs that you may see in the market. The rear of the car can be considered funky with a pair of big wrap-around tail-lamps and a thin red plastic strip connecting them. The number plate is settled low on the tail-gate and has been designed to have a thick chrome garnish above it. The paint quality is really good and there are no rough areas to be seen anywhere on the car. Split tail-lamps are really attractive. The quality of plastic parts is mediocre as they are all hard & scratchy. The front seats look smart and have leather upholstery with perforated strip in between. The design of the seat, perfect stitching and upholstery style makes it look premium. The seats are scooped with ample bolstering on the sides to give you ultimate comfort for your rides.